The image shows the site of the Burning Man Festival in Black Rock City, USA, during the event. 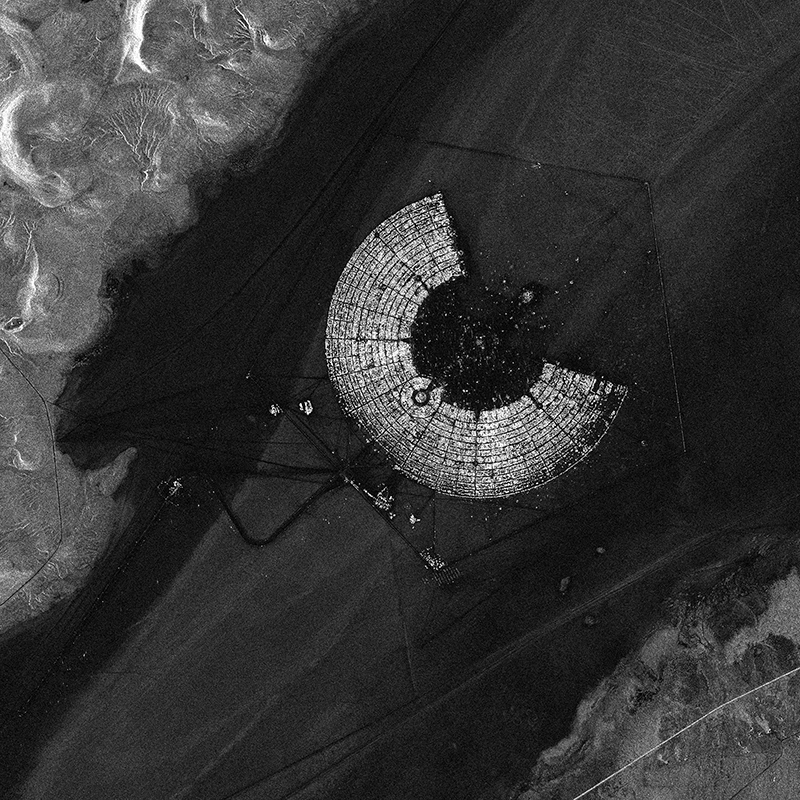 A second image is available that shows the same site before the Burning Man Festival. The festival is a week-long event at the end of August and is attended by 50,000 people.